A self-taught composer and multi-instrumentalist, Pierre FEYFANT has been passionate about music and sound of all types and genres since childhood. His first musical experiences were in amateur and professional groups, and his years of close listening and intensive study enabled him to learn guitar, drums, singing and any other instruments he happened to come across. He has been working and composing in various rock, fusion and metal combos (Weird Machine, Ilmatar, Swarm, Black Circle) for several years, performing in hundreds of concerts. In 2013 his passion for the 7th art and music led him quite naturally to study “music to image” at CIFAP (an educational establishment for professionals in the audiovisual, music, performing arts and web sectors) with renowned composers such as Gilles Tinayre, Arnaud de Buchy, Pascal Hautois and Alain Bédier. He has been working exclusively on music to image since 2014, and has written compositions for numerous short films, commercials (GM Canada) and documentaries (We can be gay today, which won several international awards). 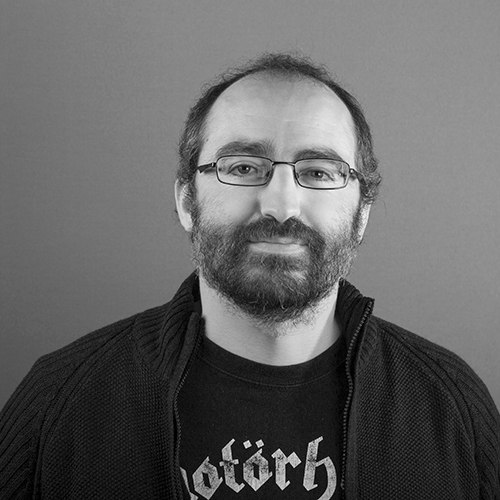 Pierre Feyfant regularly collaborates with students from EMCA (a school for film animation) on animated films including “¾ OZ“, which received an award at the Festival d’Annecy 2016 and which will soon be broadcast on the French TV channel Canal+, and “Vestiges“, an animated film that won the audience award for “Canal J/Tiji Espoirs de l’Animation 2016”. Pierre brings so much more than technique to his work; he enriches his universe through the emotions generated by film music, and continues to develop his skills and musical ear. It is through this music that he achieves his true artistic expression, taking delight in experimentation with any musical style (including symphonic, rock, electro and world), while remaining sensitive to the relationship of music to the image. He is a perfectionist who is utterly dedicated to his profession and his art. You wish to collaborate with Pierre?